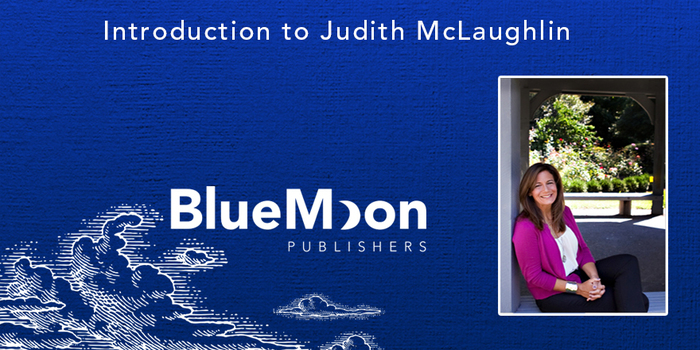 Join us as we chat with women’s fiction author Judith McLaughlin, the newest member of the Blue Moon Publishers family! Yes. My first works include A Dog Named Ruff and The Bunny and The Eggs. Bunny was a character driven story bound in masking tape with the illustrations crayoned by yours truly. I can still remember the pride I felt when I completed that book. The seed ideas for books I suppose. I have so many ideas in my head that someday my brain may literally explode. (If you are around pre-teens and teens a lot that will make sense to you. Otherwise I apologize). I think the hardest part for me is the later drafts of a work when I am sick of reading my own words and yet I know my story, poem, or novel can be better and tighter and stronger. I overcome that challenge by remembering my work will become better and tighter and stronger, and that is what I want for my readers. I am an early morning girl. The bulk of my writing and editing gets done from 5:00 a.m. – 7:00 a.m., when the house is quiet and it’s just me with my dog Duke. His ideas are even better than mine. I hate to sound so boring, but no. When I was little I always wanted to fall asleep with a special stuffed animal, one I could cuddle all night. But it never happened and when I tried, the poor stuffed one ended up on the floor or pushed to the foot of the bed. Now I wish I could tell you I live on Godiva chocolates and a heavy dose of Led Zeppelin (Stairway to Heaven) when I write. Alas, I can’t. Do you prefer to write in the morning like Judith, or later in the day? When are you the most creative?